There is a heated shower room with a shower and sink. Towels provided. Separate toilet for your convenience. You can make use of the computer with high-speed internet access, two televisions with VCR and DVD player and my collection of videos and books. Contemporary photographs hang on the walls. Nice house in the oldest part of Arles. Great location and space. Had a great time at Richard’s house. We ended up staying for 10 days, including the whole of the Opening Week of Rencontres. As Richard is a photographer and artist, the house is quite individual and very personal. Richard is a really great host. Thoroughly recommend. Simple, chic, artists house. Has all basic amenities and perfectly located for the Arena. Richard is a great host, really helpful.His house is old, eclectic and tastefully equipped. A good location for a short stay. We enjoyed our stay here very much and would go back in a heartbeat! Thank You very much for having booked my home. Hope to see you again! 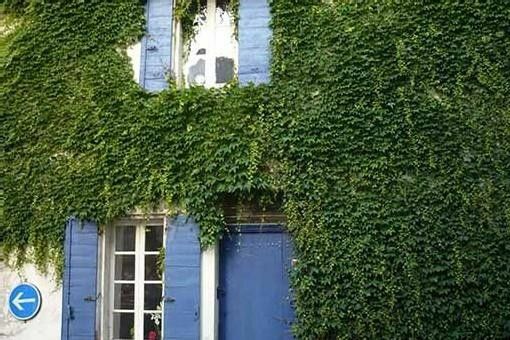 A charming house in a quiet part of old Arles, a very short walk from Les Arenes and all the other sights. It is well appointed, comfortable and clean, with excellent wifi. Richard sent us good directions for driving into the old town (tip – use Google street view to “drive” the route through the old town before coming to Arles). He met us at the house on our arrival, provided useful suggestions for sightseeing, and shared a glass of wine with us before escorting us to a friend’s restaurant nearby. Arles is a fascinating town, lots of history and character, and an excellent base for exploring further afield. Thank you for booking my home. Please come again and send me your friends or relatives. I've just been painting and doing wood work. This one-bedroom with bonus loft and 2 living areas is in a quiet location only one block from the arena and restaurants. It is a short walk to most of the shopping and to the Tourist Information Center. It's only a ten-minute walk to the train station. The owner, Richard, greeted us upon arrival to show us the apartment. He speaks excellent English and later arranged for a private (early) ride to get us to the distant Marseille/Provence airport. Although the kitchen is small, it is perfectly adequate. We had an excellent stay in Arles and could not have hoped for a better place to stay. Thank you very much, you are welcome. Please visit again and send me your friends or relatives. Great location near the amphitheater. Older home but comfortable. Richard was very helpful when we had trouble locating his apartment and shared a Glass of wine with us upon our arrival. Built in the hills around Arles, a few metres from Arènes and the Roman Théâtre Antique, in the very quiet Hauture district. You will be in the middle of a 2000 year old town which you can explore on foot! This area has a slow pace of life, like in a village. The traffic is regulated. You will find several restaurants and shops, as well as a beautiful public garden (shaded, quiet, children's play area). Arles is the former Roman capital and boasts and abundance of archaeological treasures. It also has lots of modern culture such as a photography festival, bullfighting and music. Arles is an excellent base from which to discover Provence, the pre-Alps, Avignon or Nimes. The fun of the seaside is not far away: within half an hour you can drive through Camargue to the beaches in Saintes Maries de la Mer or Salin de Giraud, where you may see flamingos.